Would you spend $1.3 million on a jacket that you would never wear? Or maybe $400,000 on a hat that would probably never touch your head? While those prices might be steep, a large number of people are already excited to hit the Prop Store’s annual auction in London on September 20. Offering more than 600 items for sale, this auction boasts items that are sure to catch the attention of movie memorabilia fans. For instance, the gray jacket worn by Harrison Ford in The Empire Strikes Back is up for sale for the first time ever. Bidding is expected to start at $660,000 and could reach up to $1.3 million. Ford’s fedora from Raiders of the Lost Ark is also up for auction. The slightly battered felt hat is expected to earn bids up to $400,000. In addition, there’s the hoverboard from Back to the Future II, the leather jacket worn by Arnold Schwarzenegger in The Terminator and the original Jumanji board game from the 1995 movie up for auction. When it comes to looking for ways to ramp up the growth of your investment portfolio, we tend to first look to the stock market. Snatching up a few stocks with the expectation of big gains is easy. You can even do it on your smartphone. But it’s important to diversify your portfolio in such a way that it includes far more than just stocks. When, not if, the market crashes, the stocks in your portfolio will take a heavy beating. Years could pass before they return to their pre-crash levels. However, the value of collectibles isn’t directly correlated to the market. Stocks can plummet in value, but collectibles will make gains. Not surprisingly, collectibles are mostly held in the hands of avid collectors and fans. They don’t sell their items just because the economy is weak or the stock market tanks. They hold on for years. This helps to keep prices steadily rising. Collectibles can cover a wide swath of rare tangible items for investment. Some common items include stamps, fine art, antiques, watches, cars, books, coins, maps, guitars, sports memorabilia, whiskey and comic books. For instance, Liv-ex tracks the prices of a variety of fine wines and actually publishes a series of indexes. 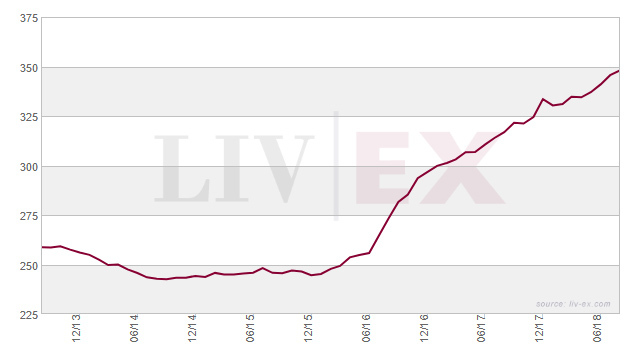 The Liv-ex Fine Wine Index 1000 has increased 5.4% since the start of 2018. The S&P 500 Index has tacked on about 6%, and the Dow Jones Industrial Average has gained less than 3% during the same time frame. Over the past year, the Fine Wine Index 1000 has soared 9.9%, and it has increased 34.5% over the past five years. Not a bad return at all. Collectibles offer another avenue for increasing your wealth while shielding you from overall market volatility that can wipe out years of gains. Take steps today to explore this unique asset class.